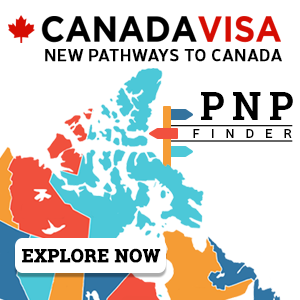 The Federal Skilled Worker Program, the Quebec Skilled Worker Program, and several Provincial Nominee Programs work on a points-based system. Applicants must meet the minimum required points in order to qualify for that program. Knowing how many points will be awarded for different qualifications can be confusing. Is a medical degree worth 20, 22, or 25 points for the Federal Skilled Worker Program? Under the Quebec Skilled Worker Program, is your spouse’s vocational diploma worth one or two points? Understanding the points system can be difficult and if an applicant fails to meet the minimum required number of points for a program, the application will likely be refused. Immigration forms can be complex and it is important to read all instructions on the forms carefully as the same information may be asked in several places. Applicants often forget to fill in all of their information on immigration forms or they provide inconsistent information, such as variations in the way a name is spelled (e.g. Writing John Smith on one form and John H. Smith on another form). Information must be complete, especially when writing dates. For example, when asked to provide an address history from the age of 18, an applicant must write all addresses with absolutely no gaps in between the dates. If there is a gap in the dates, the form and application may be returned and marked as incomplete. Another common mistake made with regard to forms is incorrect signatures. Not signing in the correct location or forgetting to add a signature may result in the entire application being returned. Each immigration program and visa office has its own list of required documents to be provided with an immigration application. Some visa offices ask for original documents and others ask for photocopies or notarized copies. Not providing the correct format of documents is a common mistake many applicants make and can result in processing delays. Some requested documents may not always be clear. All visa offices ask for proof of identity for applicants, most notably, a birth certificate. But what if an applicant was never issued a birth certificate? Knowing which alternative documents to provide can be confusing and missing documents may result in an application being returned. Similarly, applicants must ensure that all government processing fees are correct or the application may be returned. 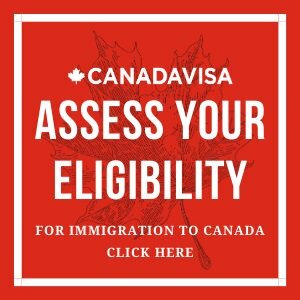 To qualify for the Federal Skilled Worker Program, an applicant must be have at least one year of full-time paid work experience in one of the 29 qualifying occupations as listed in the National Occupational Classification (NOC), unless he/she has a valid job offer from a Canadian employer. Understanding which NOC code is suitable for an applicant’s work experience is not always simple. Some NOCs can be very similar as the job duties listed in various NOCs can overlap (eg.NOC 0213, Computer and Information Systems Managers and NOC 2171, Information Systems Analysts and Consultants). Work-related reference letters are often the most problematic documents for applicants in this program. If a visa officer determines that the duties and responsibilities listed on the applicant’s reference letters do not correspond to the duties listed in the qualifying NOC, the application could be returned or refused. However, if the duties and responsibilities listed are written verbatim from the NOC, the application can be refused for providing documents that may be deemed as self-serving. Knowing which visa office is responsible for the processing of an application is very important. Applicants who submit their application to the wrong visa office can have their application returned. For more information on understanding how to choose a visa office, please see our article on Understanding R(11). Submitting an application for Canadian permanent residency can be complicated. While we have noted the top five commonly made mistakes, there are others which can result in additional processing delays or lead to the return or refusal of an application. These mistakes and the resulted consequences can be avoided by using an experienced and trusted representative. With over 30 years of Canadian immigration experience, Attorney David Cohen can help you with your Canadian immigration application and avoid making these costly mistakes. Click here to learn how Campbell Cohen can help you get started with your Canadian immigration application today.